PPU, 7.62x54R, FMJ-BT, 182 Grain, 20 Rounds is rated 4.8 out of 5 by 61. Rated 5 out of 5 by Aaron from Great quality! Good accuracy, quality, and pricing. Rated 4 out of 5 by Court from Nice ammo! PPU, has been my new 'go too' standard!! Rated 5 out of 5 by BBHJC from Perfect! Exactly what we needed :) Thanks! Rated 4 out of 5 by Panzer1941 from Good quality ammo Shot some really nice groups with my Mosin Tula 91/30 Dragoon. This is a very powerful round also feeds very good. Rated 5 out of 5 by Duane from Top Notch Ammo Well made and priced right. 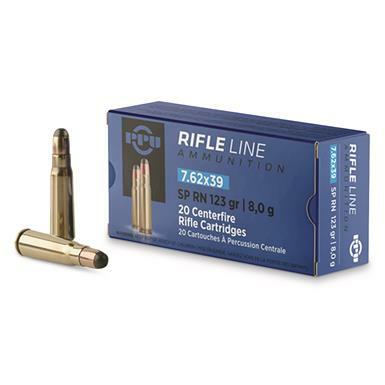 Competition-grade rounds at a competitive price!